Im Richard a ceramic artist based in Yorkshire. I was introduced to clay in my 20s and Since then my work has evolved through many hours of studio time, workshops and classes along-side many influential artists. 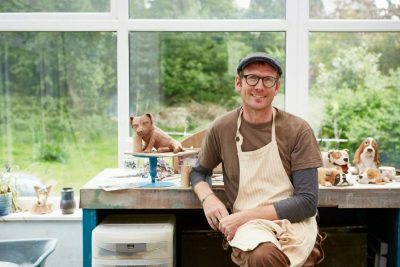 I currently spend hours in my own personal studio, perfecting my technique and producing what I love, ceramic animal sculptures! As well as selling my work through local galleries, I sculpt peoples pets and run workshops for all abilities throughout Yorkshire and beyond! Take a look & just let me know if you would like to purchase something or if you have any questions.